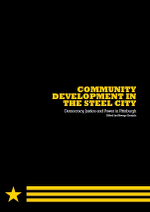 A collection of papers examining the nature of social justice, power and community change in post-industrial Pittsburgh. Publication was funded by a grant from CDJ Ltd. 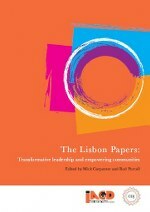 The papers in this collection all originated as presentations to the 2011 Lisbon conference of the International Association for Community Development (IACD) held in Lisbon from 6-8 July, in which CDJ actively participated. The conference theme was ‘Transformative Leadership and Community Empowerment’. 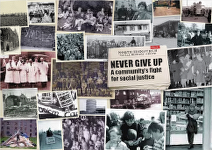 This publication draws upon archive materials and residents’ anecdotes to document the history of community activism in one of Edinburgh’s earliest peripheral housing estates. It was produced by the North Edinburgh Social History Group in association with CDJ Ltd. An accompanying documentary can be found here. The Glasgow Papers were published in 2010 in association with CDJ Ltd. 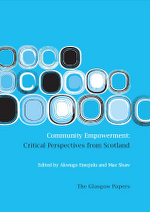 They provided a space in which to debate community development issues from critical perspectives in a Scottish context. 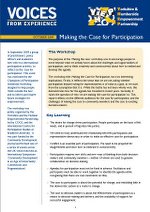 This report reflects upon a workshop jointly organised by the Yorkshire and the Humber Empowerment Partnership and the International Centre for Participation Studies at Bradford University, funded in part by CDJ Ltd. The event was designed to help people â€˜think outside the boxâ€™, and to inform and inspire future strategies for empowerment. 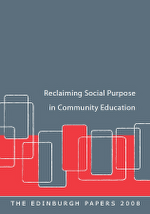 These papers, published by the Reclaiming Social Purpose Group, were originally produced for a symposium held at the University of Edinburgh in November 2007. They provide a response to the current state of professional practice and rearticulate a sense of social purpose for community education. To celebrate its fortieth anniversary, the Community Development Journal’s Editorial Board commissioned three highly experienced members, two of them former editors, to bring together a representative sample of the best writing from the Journal. The thirty chapters in this volume, including an entirely new introductory contextual essay, are drawn from every corner of the world, demonstrating the richness and diversity of community development theory and practice. 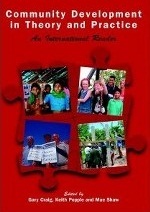 Despite this diversity, the changing foci of community development and the varying contexts in which it is practised, the chapters all reflect the commitment of community development theorists and practitioners to engage critically with the key values of social justice — equality, fairness, participatory development and respect for difference. A collection of articles originally published in the Scottish journal Concept. This volume reflects both shifts in policy and community development over a significant period of time, reflecting not only the interests and concerns of government policy, but how these connect with those of practitioners and the local communities with whom they work. Published by Concept with support from the Community Development Journal.